From 1860 to 1920, the dime novel was an immensely popular form of entertainment in the United States. The stories were not critically praised and the writing was often a formulaic action story, but the dime novel resonated with American readers. 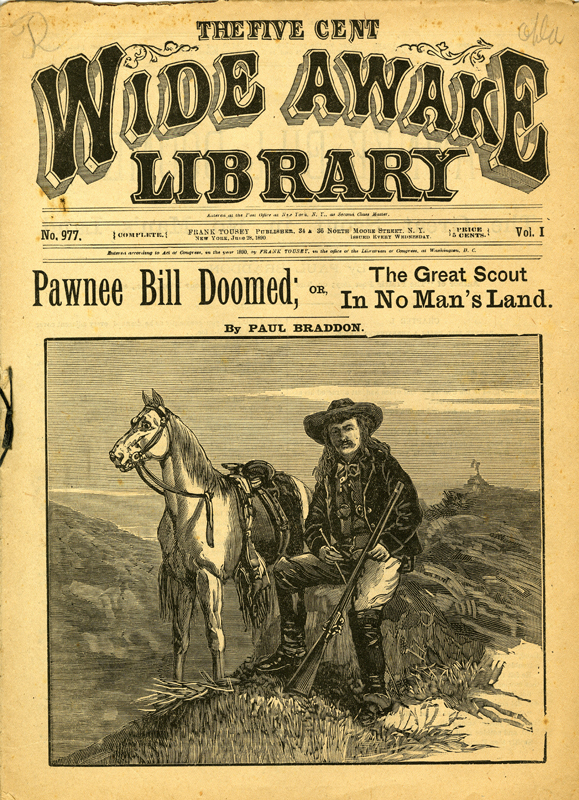 Although the subject matter of the dime novels included detective, military, and even early science fiction stories, it was the Western dime novel that dominated the market. And it was the Western dime novel that introduced the Western hero who would stand as a distinctively American archetype to the present day. 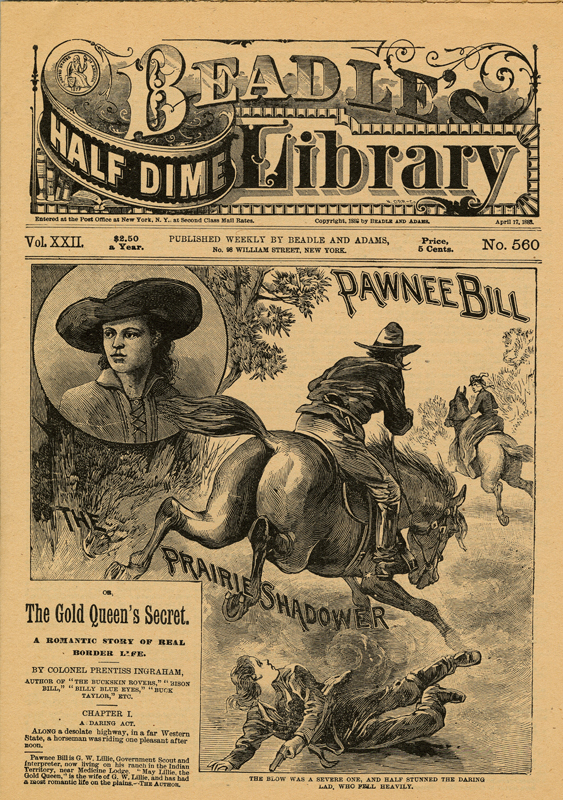 The term “dime novel” began as a brand name for the publications first issued by the New York printing firm Beadle and Adams. 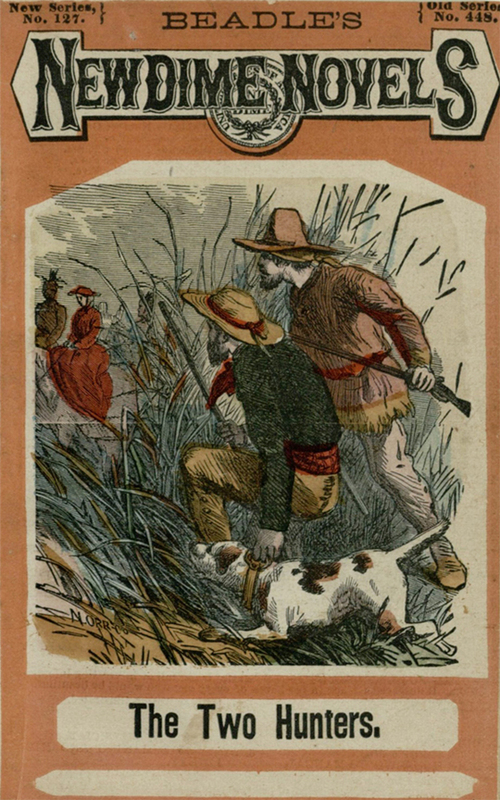 Beadle’s Dime Novels were an immediate success even though there was already a precedent for an inexpensive, stock adventure publication. 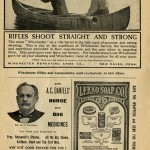 The successful dime novel formula included a dramatic cover illustration on a pamphlet-like booklet. Writing the dramatic stories for the dime novels was a lucrative business for many late 19th century authors. If the author could establish a popular character in a long running series, he or she could expect a price of up to $1,000 per story. A less established author could expect close to $50 per story. Many authors shared common traits, including the ability to produce an extraordinary amount of pages in a short time and personal adventures that rivaled their dime novel heroes. One such author, Prentiss Ingraham, achieved success and fame as an author of the “Buffalo Bill” series for Beadle’s and by his own count had written 600 novels by 1900. Most remarkable however, was Ingraham’s life before he became a writer. 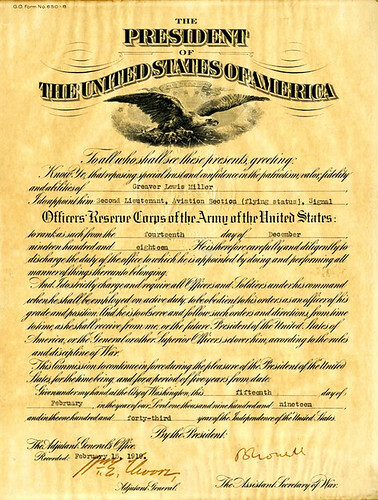 As a Confederate scout in the Civil War he had harrowing experiences including capture and escape from Union forces. 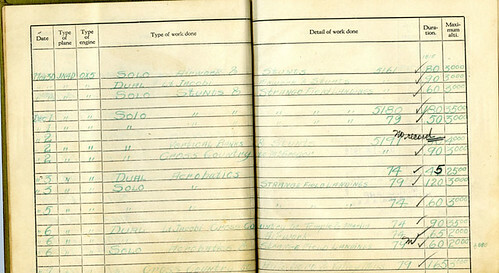 After the war he continued to serve in conflicts in Latin America, the Caribbean, and Europe. 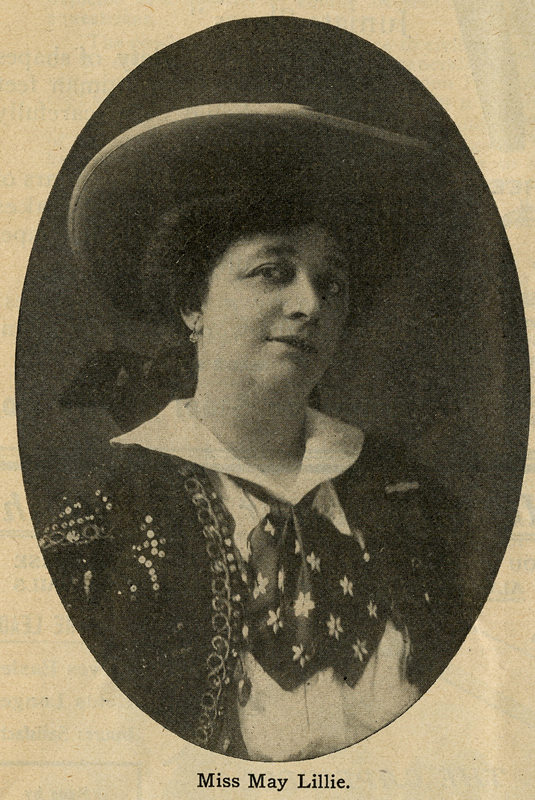 Although not as numerous as their male counterparts, female dime novel authors successfully established themselves in the field, and many provided stories of heroines to a wide audience. 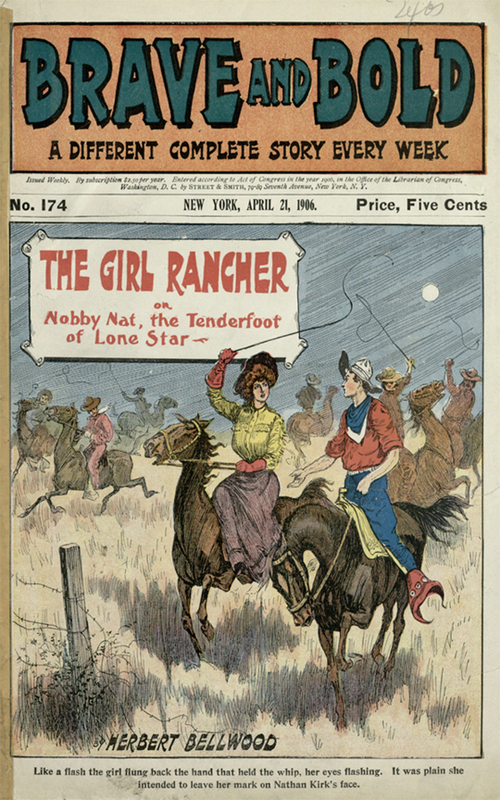 Female heroines like Nobby Nat also made appearances in dime novels. 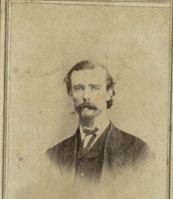 Upon his return to the United States, Ingraham headed west and in 1884 met William “Buffalo Bill” Cody and worked as an agent for his Wild West Show. When he returned east, Ingraham began to write plays, poems, and dime novels, most likely relying on his own experiences for his action stories. Though Ingraham died in 1904, his Buffalo Bill stories were reissued in multiple dime novel publications well into the 20th century. Female authors also found success in the dime novel market. Most notably, Ann S. Stephens was the author of the very first Beadle’s Dime Novel, a story titled “Malaeska: The Indian Wife of the White Hunter” in 1860. Already an accomplished writer and editor with Ladies Companion and Graham’s Magazine, Stephens wrote more dime novels but also published popular novels and plays. In the 1880s and 1890s dime novels began to be published in bi-weekly series titled “Libraries.” These were shorter than the original dime novels, but the size of the pages were made larger to compensate, and the price was dropped to five cents. The cover art illustrators of the dime novels were just as important as the authors. In the 1890s the dime novel publisher Street & Smith institutionalized the importance of cover art by having the artist produce the image first, then giving the artwork to an author to create a story. 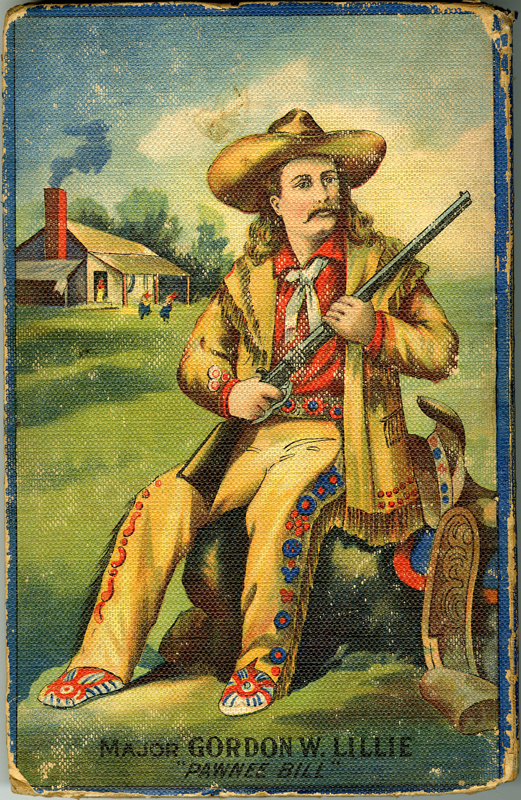 Buffalo Bill dime novels continued to be popular well into the 20th Century and new Western heroes like the young adventurer named “Wild West” became established in the 1900s, but the Western in dime novel form was losing ground to other genres such as the New York detective stories. By World War I dime novels were being published less. At this time, young readers could spend their five cents to see a motion picture instead of paying to read the latest dime novel. The Western heroes from the dime novel didn’t fade away— they simply moved with the audience, becoming the featured stars in the new films and pulp magazines. You can see the exhibit through the Fall semester at The Texas Collection in Carroll Library. The stories we tell ourselves about our past become as much a part of our identity as the truth of our history. The mythological American West–the Wild West–with its stories of rugged individualism, resourcefulness, and courage, began to take hold in the public imagination decades before the Civil War. Prior to the turn of the century, some people began to think that the settling of the frontier had formed our national character; that what is essentially American about the United States can be found in western frontier, not eastern culture. The idea that “All Americans are Cowboys at heart” has great worldwide appeal. 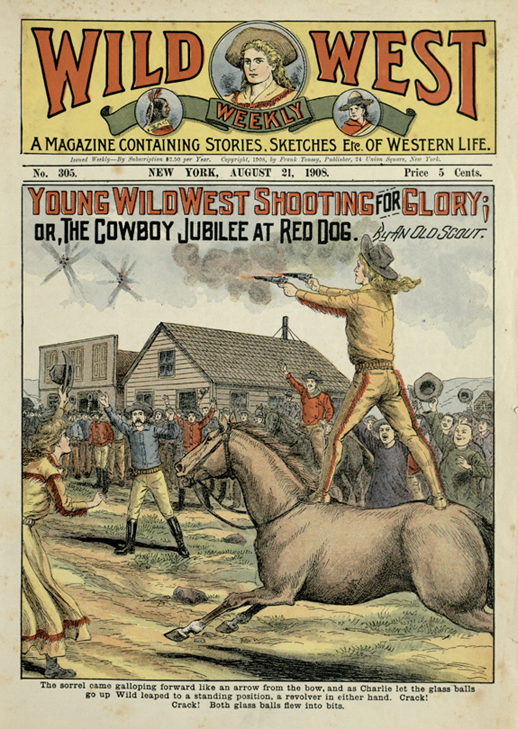 In the nineteenth and early twentieth centuries, romanticized tales of cowboys and Indians, outlaws and lawmen could be found in dime novels and popular music, but it was the Wild West Show that brought the drama of the Old West right to your home town. Popular before the advent of radio or movies with sound, the Wild West Show was part circus, part vaudeville, part rodeo, and all spectacle–under the guise of historical accuracy. Wild West Shows celebrated a vanishing culture while allowing easterners and Europeans to experience the excitement of the legendary frontier. the most daring, most skillful, most graceful, and most useful horsemen in the world. They fulfill the metaphor of the fabled centaur, believed to have been a demi-god, half horse, half man, only that the cowboy excels the centaur in being an independent man who controlled the best points of the quadruped and made “man’s best friend” subservient to his needs, his pleasures and his pastimes. Without the cowboy, civilization would have been hemmed in, and the fair States and Territories of the glorious West would have remained a howling wilderness to date. Show business has always been an up-and-down experience financially. In 1908, Gordon Lillie invested in Buffalo Bill Cody’s Wild West show, which was deeply in debt. The “Two Bills” show was successful for a time, especially during its run as Buffalo Bill’s farewell tour, but eventually the enterprise failed when Cody’s creditors foreclosed in 1913. After that, Pawnee Bill and May Lillie settled down on their buffalo ranch on Blue Hawk Peak, near Pawnee, OK. Lillie continued as a businessman and invested in banking, oil, and real estate. Still interested in the entertainment industry, but looking to the future, he started a movie production company on his ranch. In 1935, May died as a result of injuries suffered in a car accident. 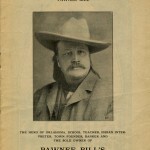 Pawnee Bill died in his sleep in 1942. 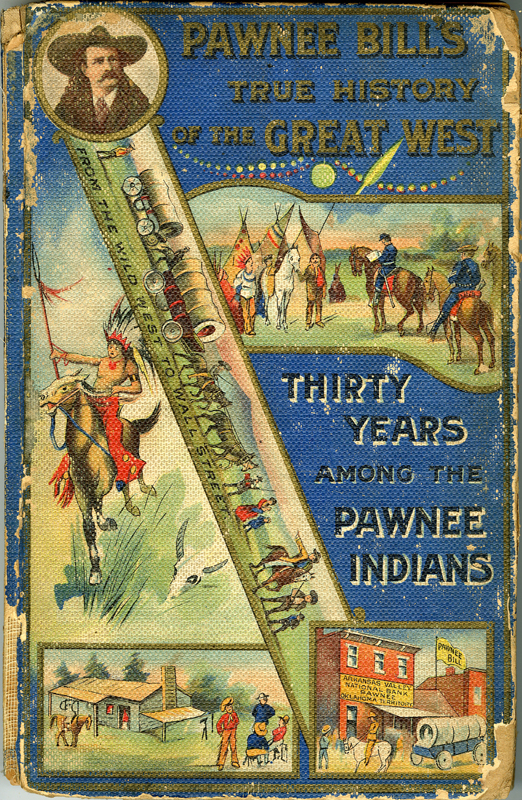 If you ever find yourself looking for excitement, you can learn more about Pawnee Bill and the American West right here at The Texas Collection. The Adams-Blakley Collection contains several souvenir items from The Historic Wild West and Great Far East Shows, and The Texas Collection has a significant number of Dime Novels. Don’t expect it all to be true, but it is great fun. Many thanks to Michael Toon for assistance with Dime novels at The Texas Collection. One of my fellow librarians at The Texas Collection tells me that if I get through a day without learning something new, I’m not doing my job. Well, yesterday I learned about a larger-than-life Texas cowboy: John “Catch-Em Alive Jack” Abernathy. I was cataloging some items from the Adams-Blakley Collection–a fabulous group of books assembled by Ramon F. Adams, the Western bibliographer, lexicographer, and author, for William A. Blakley, a U.S. Senator from Texas. In that collection I came upon A Son of the Frontier by John Abernathy, and I saw a picture of Abernathy, a wolf, and Theodore Roosevelt. I had to find out more, and here’s the story. 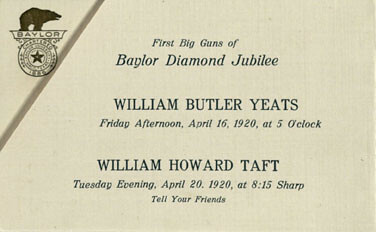 One final note: Abernathy’s sons Louie (Bud) and Temple became famous in their own right. In 1910, at the age of 10 and 6, they rode alone on horseback from their home in Frederick, Oklahoma to New York City to greet President Roosevelt upon his return from a trip to Europe and Africa. Several years later they set out for further adventures on an Indian motorcycle. Temple tells about their journeys in Bud and Me: the True Adventures of the Abernathy Boys. Jack Abernathy’s story is only one of the many great titles that make up the Adams-Blakley Collection. There are outlaws and lawmen, pioneers and entrepreneurs. Someday, we’ll have to sit a spell and I’ll tell you more.